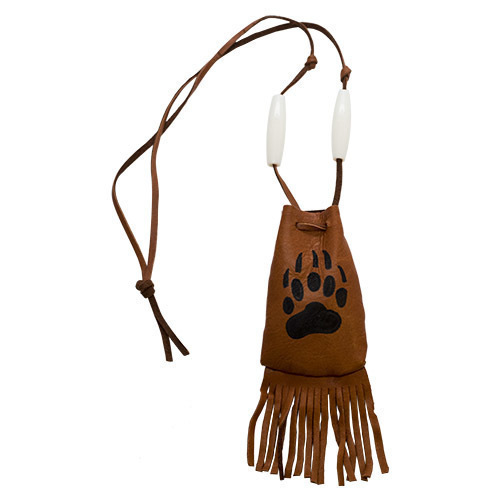 Fun to make and decorate with markers and acrylic paints and hang around your neck. 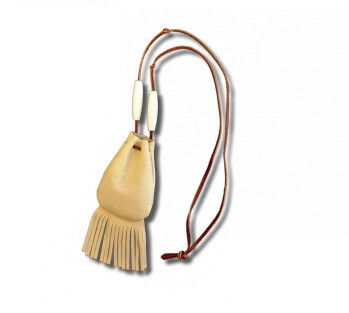 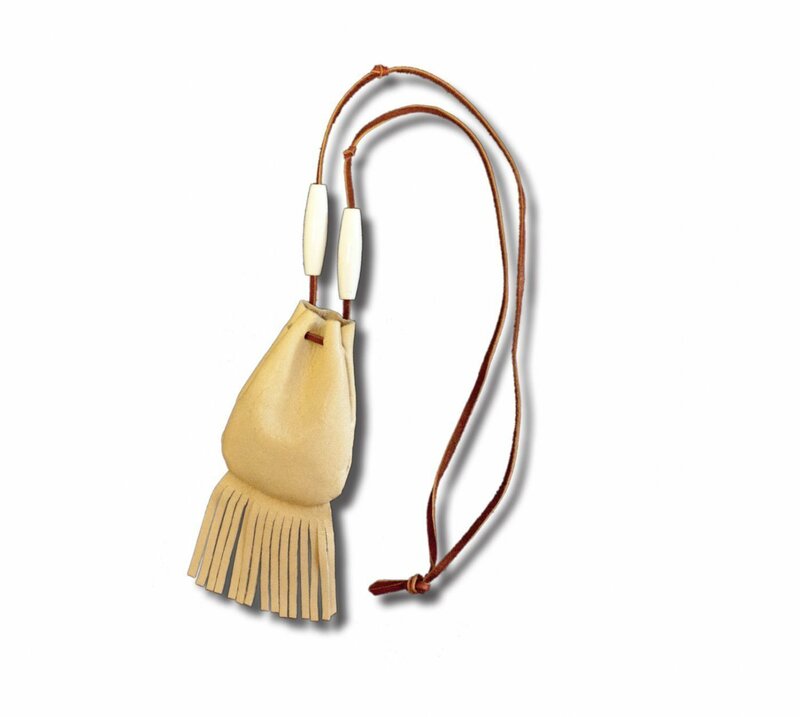 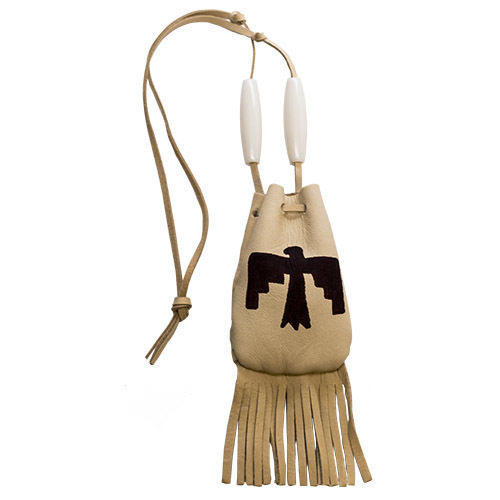 This small soft leather pouch is a perfect size to hold your special treasures. 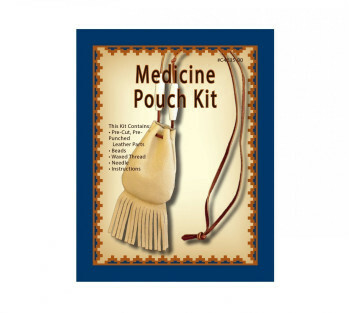 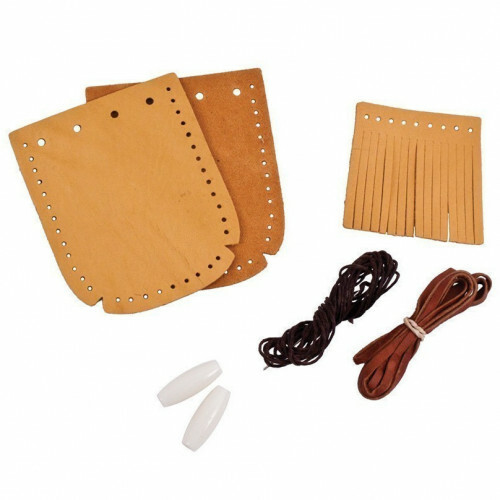 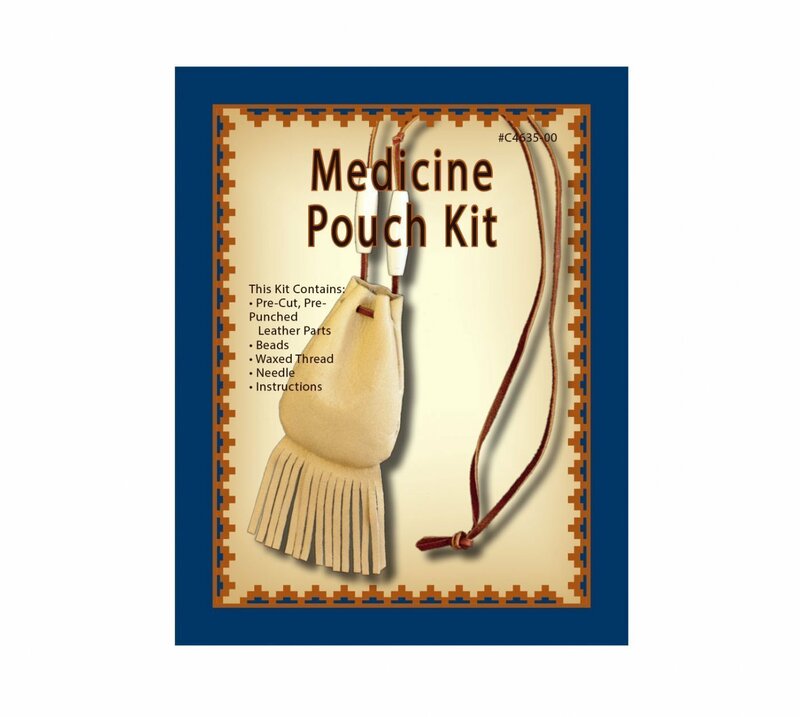 Kit contains pre-cut, pre-punched leather parts, fringe, beads, lace, thread, needle and instructions. Finished size 4-1/2" x 2-1/8".